will start from 23 January 2012 and end on 9 February 2013.
will have a grand celebration for 15 days. 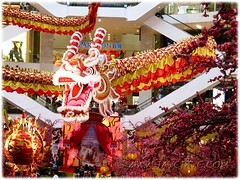 Get to know more of the CNY festivities, culture and tradition here. 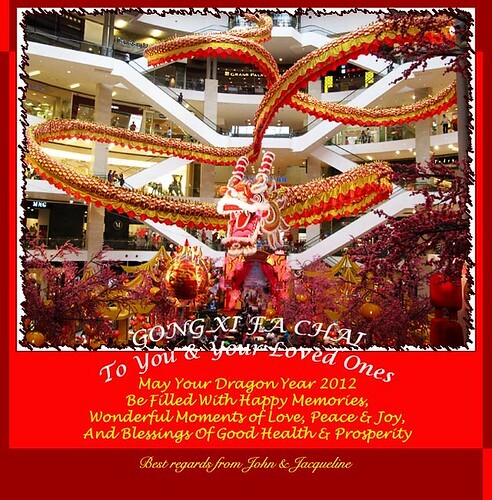 Try guessing how long the spectacular dragon as seen in our CNY greeting card above is? It’s 600 ft or 182.88 m long, the longest in South East Asia! Simply awesome and impressive, right? I was so awestruck and fascinated by the dragon exhibit that I captured so many shots and decided to use one of them to create the greeting card to share online and send to friends currently based overseas, for their viewing pleasure. 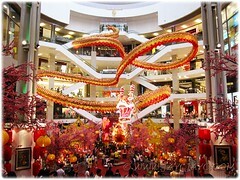 This super-long and gigantic dragon, artfully displayed in elegant swirls and spanning over several levels (6 storeys, if I’m not wrong) was suspended at the atrium of Pavilion Kuala Lumpur, one of Malaysia’s world-class shopping mall located along Jalan Bukit Bintang. Without doubt, Pavilion which draws huge crowds, local and foreign alike, effortlessly, surpasses other shopping malls in its annual festive decor, especially for the Chinese New Year and Christmas seasons. 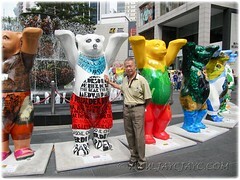 Besides the giant dragon exhibit, the United Buddy Bears which have toured over 5 continents and more than 15 countries that started from Berlin in Germany since 2002 are currently in our country, Malaysia and will be exhibited at the entrance of Pavilion KL until February 15 2012. Do rush over to view these 142 awesome 2-meter tall bear sculptures before this golden opportunity lapses. 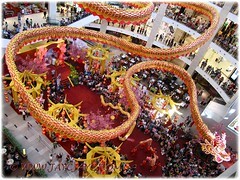 Here’s sharing a few more shots taken outside and inside of Pavilion to welcome the Year of the Water Dragon. Enjoy! 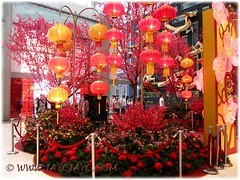 Wow, the CNY decorations at Pavillion is really grand, I mean heavenly and majestic. 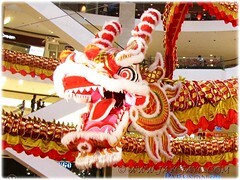 Wishing you lots of good fortune, wealth, good health and happiness for the coming year of the water dragon. Outstanding decor, indeed! Thanks for your warm wishes, A. Belle! You and your family are wished the same too for the Dragon Year and beyond. God bless!